Used vehicles are quite often overlooked by buyers in favour of brand new models. For many people, pre-owned cars may end up being a better option for them. When someone applies with Canada Drives for auto financing, we match them with a dealership in their neighbourhood that can help them get the best deals on interest rates and monthly payments, regardless of their credit score. A lot of the dealerships that Canada Drives is partnered with have a wide selection of both new and used vehicles. Buying a used vehicle is sometimes associated with negative connotations. However, the stereotypes that often come with used vehicles are rarely true. If you’re a Canadian with less than perfect credit, you might understand the difficulties of getting approved for prime auto financing on a new vehicle. Thankfully, pre-owned vehicles are a great option for those who have a difficult financial history, and an auto loan on a used vehicle can help you re-establish your overall credit score, which could get you better rates in the future. Canadians who are considered subprime – if your credit score falls below average – should remember that buying a new vehicle isn’t all bells and whistles; however, used vehicles come with a set of benefits that are great for people facing all types of credit situations. The cost of a new vehicle is a major factor in the car-buying process. Despite some used cars being only a few years older than the newest model, there is a large price gap between new and pre-owned vehicles. Typically, there are fees attached to a new model, which can escalate the overall price. New car features, mileage and the fact that the vehicle has never been used before are what customers pay for when they decide to buy new. Additionally, insurance prices increase with a newer vehicle model. 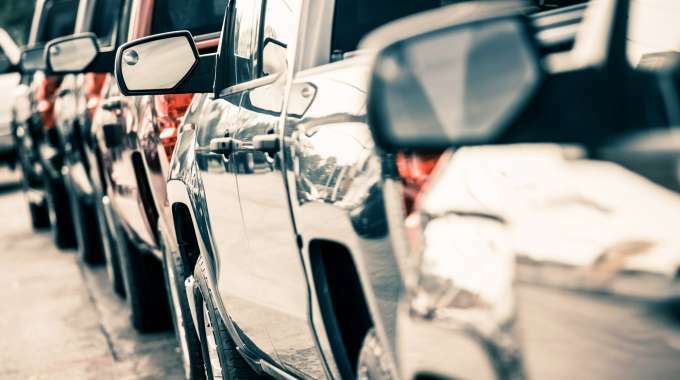 Sure, that new car smell is great, but when it comes to your finances, it’s worth thinking about whether a used vehicle makes more sense for your current situation or not. The value of all cars, both new and used, will depreciate over time. Vehicles tend to lose their value quickly, and this is especially true for new vehicles. However, the value of pre-owned models doesn’t experience a sudden decrease as they’re already older, so used vehicles depreciate at a slower rate once you become the owner of one. A slower depreciation rate on used vehicles is another great reason why you might want to consider buying pre-owned, as the money you save on the overall value of the car might be worth it to you if you’re trying to save money. Ultimately, most dealerships will carry a larger array of pre-owned vehicles than new models. A wider selection gives you a better chance of finding the car that meets your needs. If you choose to get a used vehicle, you will never be limited to choose between a handful of new cars, which could lead to being stuck with something you are unhappy with. Once you’re approved for auto financing with Canada Drives, one of our partner dealerships will contact you to go over all the details to get the car-buying process started. Regardless of your credit score, Canada Drives’ dealer partners have years of experience working with Canadians who are facing all types of credit situations, and they can get you driving in a vehicle that best fits your finances and your lifestyle.